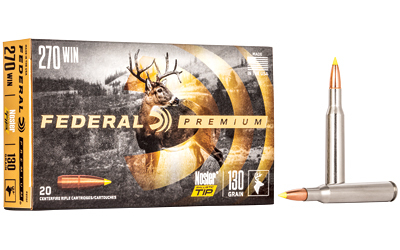 Hunters demand accuracy and versatility and the Nosler® Ballistic Tip® Hunting bullet delivers. Its polymer tip and boat-tail design maximize downrange velocity and energy while the tapered jacket provides fast, yet controlled, expansion. It’s perfect for medium game at all ranges. SAV 110 APXHTR PKG 270WIN 22"